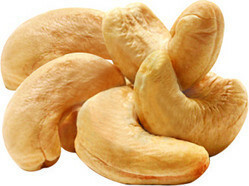 Manufacturers of Cashew Nuts. We procure fresh cashew nuts from Konkan and Goa. These cashew nuts are packed to maintain taste and freshness. These cashew nuts are packed in accordance to their weight, size and quality. 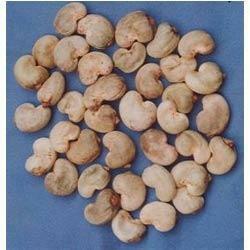 We are also importers of raw cashew nuts from Ghana, Benin , Ivory Coast , Indonesia and many more. We are ranked amongst the distinguished organizations that are affianced in offering high quality Raw Cashew Nut. We imports Raw Cashew Nut from African Countries, that are personally inspected and loaded in front of our representatives. Raw Cashew Nuts that are shipped to our Indian Buyers are fully dried and non mixed.